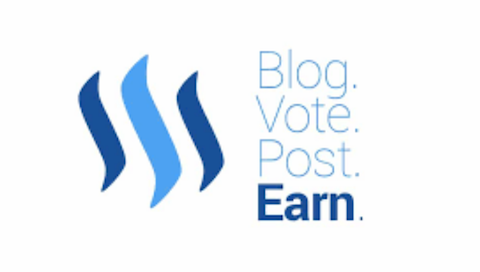 Since taking a Steemit break and starting up again I've notice an influx of new people asking me to read their post or follow them and even some have asked to trade votes, implying we should up vote each other. Some have even spammed by linking their blog to mine or advertised it by posting the whole thing as a reply to my post. I've been DM'd countless times by people I don't know, people who have just started. I'll say, 'No, I don't do that' and 'it's bad etiquette to ask', and they keep at it. 'Why, m'am?' was one person's reply. Everyday I wake up to emails from people who tried to contact me the night prior asking for votes or some scheme or other. I’m wondering if they’re ignoring the newbie instructions and not seeking help on Steemit Chat. I've spent time helping a few — giving succinct instructions on how to start out slowly and not expect to be a millionaire by next month. I've coached them with tips on how to improve the visual set up of the their posts, advised on the importance of tags and how to find the most popular appropriate to their subject matter. I even suggested several Steemians to visit as an example (depending on the blog - so if they are interested in photography, I'll recommend a photographer or two to follow; if cooking and food, then those and homesteaders and so on). I’ve even given them links to some helps from various Steemians. I'm not saying this get to a pat on the back but to re state instructions to those who are still doing it. It's bad manners to ask for upvotes, follows, and even worse to get sarcastic or mean when I don't. Not everyone gets sarcastic or mean, but enough have, so I've said it in bold letters so you'll hear me. I want to get to know you, not be coerced to upvote or follow you just for the sake of numbers. Listen, I will vote for your content if I like what you’ve produced or if I find it interesting. Everyone has different likes and dislikes. I will find you as will others. Be patient. You will grow if you follow a few marketing tips and post authentic material. Don’t post something just because you think it will make you money— post because it’s something important to you and you want to share it. Just so you know, I check the blog of every person who visits me and if I see something there I like, I vote. A follow-for-follow makes my feed over crowded and I won't see your post on it. And I don't have enough time in the day to sift through thousands of blogs. So it’s unproductive and defeats the purpose of a follow and of Steemit in general. Plus, like you, I don’t have infinite Steem Power to vote for everyone. I have to budget. 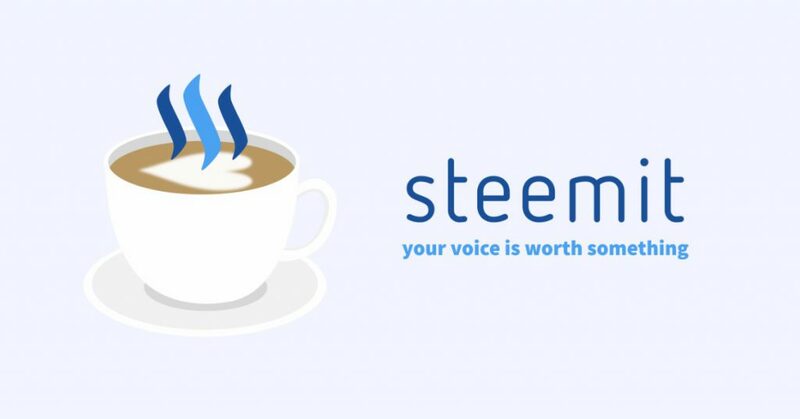 Please take the time to read everything you can about Steemit. How to’s are everywhere as many have written extremely helpful posts on any subject you might be interested in. You can start with the Welcome from Steemit- it's in the drop down box beside your avatar (if you have one, if not, get one) - three horizontal lines - click on it and you'll see a bunch of options. You'll also see Steemit Chat - go there to #help channel and ask for suggestions, they'll give you links. You need to educate yourself as you go. Try to notice how many times you see others asking for votes or re-steems or follows as you visit blogs. You'll see those people are largely ignored by those who have been around a while and sometimes told not to do it. Why? It’s bad manners to ask or try to sell your blog. It would be akin to going into a store and trying to sell your product to their customers. Just bad bad, bad manners. I'm sure you don't mean it and aren’t informed so please learn so you don't have to be embarrassed or flagged by others for spamming. Do NOT ask for votes—EVER. My friend please upvote and thank you. Upvote! Please follow back and comment! Help me out and upvote and follow me. Whether you’re polite or pushy it amounts to the same thing. You’re breaking the rules and violating the Steemit etiquette. You can ask for votes, resteems and follows at the end of your own posts — that's your prerogative but *do not ask when replying to another person's post. If you reply to another person's post make sure you read the post and have something to say about what you learned or liked or even disliked. That's connecting. Simply saying, nice post or great content followed by follow me is not connecting. Also try to not be jealous of other's successes and complain about the dolphins or whales for not voting you and for hogging the wealth. Don’t complain that people “buy” votes. Using @booster, @randowhale, @bellyrub or other legitimate apps helps increase the visibility of your post. Using these means is an investment no different than purchasing Steem and you are not spamming or aggravating others. It takes time and hard work to be on Steemit. It's a commitment, an investment and fun to challenge yourself to write, post and socialize. Please have fun, socialize by commenting without expecting anything in return. People here appreciate that and you might gain a friend or two. You go, girl! That's the spirit and you said it out loud, while many others like me just thought about saying it. I'm not here for a long time yet, but I quickly found that really annoying. So thanks again and hope that you'll be heard around. Thank you for the encouragement. I was kinda holding my breath after I posted - in fact I went for a drive.....haha....it's beautiful here btw. Spam is annoying and I really didn't want to embarrass anyone who was doing it out of ignorance. There are some who do it despite being asked not to - those are the worst. I can imagine. But you did it. Really glad that there is someone like you who isn't afraid of saying it out loud. I know that they will still do it, but maybe a few of them will stop just because of your post. Keep up motivating and educating people. Your good work will come around one day. That's very sweet of you to say ....thanks for the encouraging words. "Don’t complain that people “buy” votes." I get why you feel this way. I do as well to a point. I have a hard time accepting some selling techniques in general. However, this is my opportunity to rebuild my steem power for a while because I powered down to almost 0 when I took a break from Steemit. I'm grateful that these tools are there to help me. These bots like @bellyrub - which I noticed that you've used - are legitimate and help promote your work to others who might not see it. Thank you for reading my post and for your thoughtful comment. just because they promote your work doesn't mean they don't act like a leech sucking at the rewards of the working class who make posts. Its like saying the Africans who make a dollar a day in iron mines should be glad for the opportunity because they would starve otherwise. You are entitled to your own opinion. Thanks for sharing. why did you bother replying at all? That comment has nothing to it. I want somebody who can defend their opinion, not just acknowledge other's. That's not how you form knowledge. If everybody just accepted everyone else's opinions without debate nothing would ever change. Thank you. I'm new and this has happened to me lot. I find it very annoying and thought it was normal here. Now I know it's against the rules and won't feel so guilty by not upvoting their comments or following back if I'm not interested in their content. I'm glad that my words helped you. It's hard to go against your basic desire to be kind and tolerant. I felt guilt too for not upvoting or following back a new member. I got a case of the "shoulds" I should help them, I should vote for them. You know how that goes. Yep, Steemit changed a lot while you were out... and not all for the better. I hope at least some will listen to your advice. For the most part I ignore the newer spammy stuff, but every once in a while if I sense some underlying possible redeeming value, I'll take the time to try counseling a naive newbie... Once in a while I've been pleasantly surprised to find someone teachable! It's nice when we can help. And nicer when the person who is learning listens. I still have three or four who keep doing the same same. I ignore most but repeat offenders I will tell them politely. I haven't flagged anyone yet. I don't like that feature so much - I know it's there for a purpose but still. I received three email notices some time in the night while I was getting my beauty sleep - DM's . Maybe we need a pause button. Someone said that a photograph is the pause button of life....I wouldn't mind being able to twitch my nose and cause different outcomes sometimes. hehe...glad you got my nose twitch reference.....and I too can't wait for that day. Thank you for this article/post, it has helped me immensely, as I am fairly new to @steemit I must admit, I am guilty of a few of these, and I will definitely not be doing it anymore. I do appreciate any comments or advice anyone can give, as I truly LOVE being a part of this community and it's ethos intrigues me to no end. It is a beautiful concept and place to be. @michaeljn - thank you for being so teachable and genuine...I tried to write this post in a non judgemental way - sometimes it's hard depending on the hearer. You have a great attitude. Thanks for sharing. This post received a 1.6% upvote from @randowhale thanks to @johnjgeddes! To learn more, check out @randowhale 101 - Everything You Need to Know! hearing, seeing and doing - true learning continues when put into action. Genuine authenticity is key in the beginning. I agree 100%. One can only hope. Someone linked this to a reply from a spammer and the spammer replied "It's optional". lol.....so he didn't really want to be cohesive with the community. Thanks for reading my long post :) and for resteeming it. To the core honest and very helpful article. Thank you. aw.....very nice of you to say, thank you. Absolutely agree. I would consider myself an "educated" newbie of 3 months. I took the time to become acquainted with the nuances and etiquette's of the site before diving in. Many, many new people are looking for instance follows and upvotes. Keep up with the eduction - together we can all help... I hope. :-) Welcome back from your hiatus. Thanks @jasonbu. Like you, I read as much as I could as I went so I would be informed before signing my name to a post. I hung back, read posts, sometimes commented and stuck with a few people until I moved on to get to know others. This definitely isn't an instant cash grab and I am seeing a lot of entitlement and false expectations too. It's too bad because we can have good discussions, fun and socialize on here. Chill and blog and hopefully make a few dollars. Thanks for the warm welcome back. Nice to meet you by the way. I noticed from your blog that you are a Canadian veteran. Upvoted and shared, because now I don't have to write this myself. I have tried offering long replies explaining why such comments are unwanted, but it feels like a waste of time. Oh good. I'm usually not one to write this kind of thing but I seriously didn't want to keep embarrassing people. It does feel like a waste of time sometimes, I know. The emails I get are ridiculous. Or the DM's. Maybe this will educate those who seriously didn't know and might have been copying others who did know. ?? I like to think the best of people. I know there are those who just want to march to the beat of their own drum—and that's their choice, but they won't do well on here and will definitely get flagged or down voted which would not feel too great. If people want to spam after polite warnings, we are also free to flag them. THIS. This is happening to me too! Why!? It's like I live a parallel life to yours... verbatim. I feel I could copy/paste a recent chat DM with exact phrases from above. I, too, have gone above and beyond being helpful giving links and suggestions. I've only been here 4 weeks, but chose to invest (all my) time and (a little bit of) money. I love making connections with people and WANTING to read their content because I know I'll be happy to give that upvote. It was very cathartic reading this post, as it seemed like it was coming from my own head. So thank you... for the post/rant/helpful tips on etiquette and just generally wanting Steemit to work. Thank you for your comments and understanding of my quasi rant - I tried to not let that show - ha....I was going to go the Little Mr series....or Little Miss series....if you don't remember them....look them up....funny little books I'd read to my kids. Nice to meet you and again, thanks for the pineapple - I love pineapple and I also know it means "welcome". I just took this. LOL! And lastly, that pineapple thing. It was so weird. While I was writing the comment, suddenly I was like, "Yup. She's gonna get a pineapple. I bet she loves pineapple." And then I found you a pineapple, as promised... in my own head. Too funny......we'll have to keep in touch. I love laughing and being funny. So this will be good. If you happen to be in my brain and see stuff that would be embarrassing, pretend you didn't see it okay? Have a great night Little Miss Carrie Allen. I'll look for your posts and comments. Now I'm really glad that you clarified what you meant in #help earlier. Great post! I always upvote and resteem these posts; it never hurts to reiterate some basic ground rules to make sure they're not overlooked. This is as true for new users as it is for established users. Thanks for commenting @anarcho-andrei. I'm glad I checked #help first too - I was a little shy about this and of using the wrong tabs, especially the #steemit one. It would've been a little ironic. Thanks for the resteem and upvote, much appreciated. Just glad I could help after my initial confusion. :D You're doing something good here. Thank you very much for what you've said. It's nice to see someone tell it like it is. We could use more people telling it like it is. well said @countrygirl, welcome back from your break. hope you had a pleasant time away at least. mmmm pleasant? well...that's kinda debatable.... :) It was a "time out". ....it's pleasant to be back though. Thanks! I see. Can imagine it can get busy. Everyone needs some time to themselves every now and then. Yes and I sure wish I was staying up all night drinking coffee, listening to the waves while watching dolphins frolic. :) Maybe I need to go to my favorite beach in Florida. Maybe I will after this terrible hurricane season is over that is. Thank you @shahbazrana - what did you like about it? Yes it is really bothering. O have not been the target of such spam but i see it all over the place. It is one of the reasons that drived me away of other social platforms. I will vote and follow the people that interest me, the quality posters, anything i enjoy -- not just because someone asked. I also do not like interactions like "good post" - "thanks" - "you are welcome" - "but you deserved it" COME ON!! That is just a waste of space and storage! Anyway, I hope this kind of behaviour does become the norm around here as well. I'm glad so many are on board with the etiquette. Have to be honest, I was nervous about posting it, being unsure of what would or could happen. I've seen flag wars and didn't want to be part of that - I wanted my post to be friendly but firm. I hope it translated that way at least. 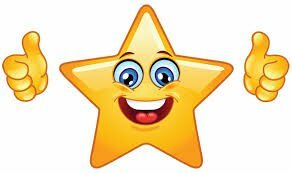 I am guily of saying "thanks" or "your'e welcome" to those who give me "good post". I do it because they haven't probably read anything in my post or hooked on to something to add or challenge. I'm glad you follow what interests you -that's what this is all about. Yes! I thought that too. Newbies learning from newbies (of which technically I am still one). Thank you for reading the post - I know it was long. Thanks for reading it @len.george. Unfortunately the people who could benefit the most from this post probably won't read it, which is a shame. That's true. I guess that's why we need to keep them informed. This post has received a 12.08 % upvote from @booster thanks to: @johnjgeddes. People should really read this. :) It's indeed the truth and you really hit the point. I am new here as well so, I really find this post helpful. It IS long, I know. I suppose I was on a roll :) I hope people read it too. I'm not the first to address it that's for sure. There are a lot of posts written on this and other topics. With new people coming in all the time it has to be readdressed. I'm thinking new people who haven't read the white paper or other information might just copy what they see others doing and thinking it's what to do. So I give the benefit of the doubt if I see it a lot then I'll say something and if they accept it, I've made a friend, if not some become more obtuse. Great and strong words !!! I thank you for raising this topic. I also do not like it and I do not like these things. But I'm ashamed to refuse a man. You are strong. Thank you! I'm a minnow too ! We are swimming in the same pool. Than you for reading my post and for taking the time to comment. I appreciate that very much. Oops - have to say why! Well-written and informative - wish I'd had this when I started. It takes a while to figure all this out, and I didn't find the newbie guides that helpful. This post, and a few others like it, are helpful. Thanks! No one is interested in looking at the posts of a person who disrespects their work or interests by only wanting to talk about himself and his interests. 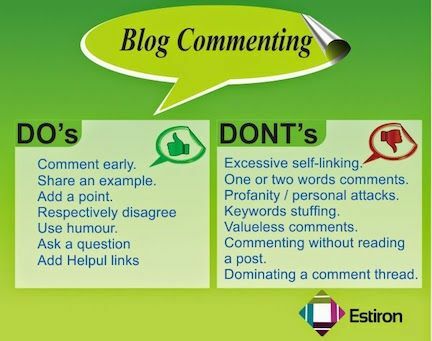 If you want to reply to someone's post please have the courtesy to contribute to the topic of the post. An interesting reply to someone's post is much more likely to make them want to see yours. It gives the benefit of doubt but I still get to vent. Thank you so much for a great reply! I love how you respond. Can I use it? Sometimes I do a cut/paste from steemcleaners but feel like I'm cheating and in the moment, I can't think of anything gracious to say to help or chastise (tough word). Please do! Sometimes I get so frustrated at the replies that have nothing to do with a post and are exploiting the opportunity to try to get upvotes. I wish more people would. I get frustrated with it as well. But what I learned is that the more you engage negative behavior the more they comment - why? They get curation rewards for "posting". So there is a balance. It's probably why you see so many of them ignored. I use steemcleaners a lot when I see spammy comments - those repeated ones that make no sense. Understand. Sometimes there is no winning.